ALL THE TIME GOD IS GOOD! : Great Grace: What About the Cross? 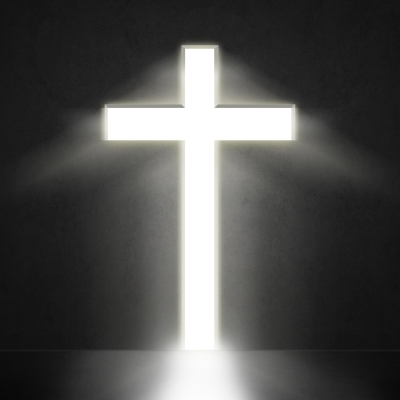 Great Grace: What About the Cross? In the recent weeks, we've been studying God's great Grace. We have seen how we are greatly freed from Law and have great liberty wherein we aren't required to observe a certain day or week in order to walk in greater intimacy with our Father. We've also begun detailing the various performance and works centered teachings of man. In doing so, I want to provide a clear and balanced view. Is God's great Grace a license to sin or an excuse to become slothful or lazy? No, Grace is no license to sin, nor is it an excuse to be lazy. For further study see here and here. Now that we have added clarity to the track we are on, I sense the leading to examine another teaching that I see has transformed into a performance mindset. Now I am not seeking to condemn or attack other believers. One sure way to know you're maturing in your walk with God is the ability to realize there are truths that are rooted in God's Word but men can take these same truths out of balance and out of context and create extremes, but that doesn't take away the validity of the original truths found in Scripture. I want to examine the modern understanding of faith. What is faith? Faith isn't your particular religious persuasion such as Baptist or Pentecostal. Faith isn't blind. We know in whom we have believed. Faith is simply knowing and trusting God. Faith is taking God at His Word. Faith is also acting on your beliefs. These corresponding actions of faith are what I want to examine in detail. It seems to some that corresponding actions of faith are the source of all blessings. Listening to some, it appears that all one need do is spend enough time meditating the Scriptures, confessing those promise passages, give consistent donations, and perform some sort of action proving you believe what you say you believe and then all of God's promises will be yours. Now all the while you are steadily doing this, you must also never let anger overtake you, causing you to enter into strife or unforgiveness toward another. You must also remain sin free for the most part. Now for my question. In all these equations about doing in order to activate and receive God's promises where is the Cross? It appears that our receiving the benefits of blessing, favor, provision and healing is rooted in our actions. Modern faith teaching has transformed into a works and performance system that tries to merit God's blessings. We can see that faith teaching has disconnected from Grace and the Finished Work. One reason for this disconnect is this concept that healing and provision and other blessings are rewards from God. If healing is a reward it stands to reason why some see that if one is failing or fouling up in an area of their life that God is now limited and can't bless that individual. For Him to bless such an individual would mean God is rewarding bad or immoral behavior. Another reason for the disconnect is that some have seen great progress, in their view, due to their spiritual disciplines. Anything that would dare suggest that those aren't necessary must be in error. They will accuse you of promoting slothfulness and will tell you that we must do our part to receive the blessing and have success in life. So you best get busy bub! Another reason for this disconnect is their image of God. Yes, He is loving and good. He won't make you sick or send destruction your way. However, He is a stern and austere taskmaster. Faith has no feelings. If you fail or falter, you blew it. You got to start over from the beginning. God demands perfect faith from you or you won't receive. If you sinned, He will withhold blessings and healing and none of your prayers will be answered until you get right with Him. What about Jesus and the Finished Work? Sadly, if you sincerely took a large percentage of modern faith teaching and removed Jesus' death and burial and resurrection from the equation, the teaching would not change much. In other words, what they're teaching is a diluted form of Old Covenant relationship with God. Think of it, under the Old, they confessed the Word, they meditated on the Word, they acted on what the Lord told them, they gave in order to receive blessing and protection. Under the Old, man would act and then God would respond. Man would perfectly obey the statutes and God would respond with blessing. Modern faith teaching has regressed into relating to God with this type of Old Covenant thinking and action. Where is Jesus? Where is what He has done the focus? It appears all the source of blessing is men's works. Are healing and the blessings a reward? Are the spiritual disciplines you engage in the complete source of your progress? Is God this austere taskmaster? Under the Old, we would have to act and then God would respond. In this glorious New Covenant, Jesus already acted on our behalf. So now we respond to what Grace and the Finished Work has already completed and provided. The word response is the key. We aren't working to earn or achieve anything. Why did God establish the New Covenant if it was going to function exactly the same as the Old apart from animal sacrifices? Healing and provision are not rewards. Rewards connote the idea of a wage earned or achieved. If we could earn healing, blessings or anything from God, then why did we need Jesus to die for us? Spiritual disciplines are merely responses to what Jesus has already done. In reality, they are just us cooperating with the leading and guiding of the Spirit. Also, they aren't the same for each individual person in Christ. Meaning, what He leads me to do may not be what He guides you to do. The point is we should be following after Him. It is about a relationship. God is a good Father. He isn't the taskmaster. Yes, God may be displeased with our actions or choices but those aren't who we are. He is never disappointed in us, His children. Imagine, if you will, an earthly father who discovers his son has gotten bad grades in school or has broken a valuable item in the home, or has been caught watching something he shouldn't be. Perhaps dad finds out the older son was showing off foolishly and damaged their vehicle. How long should it be before this father allows his child back in his presence? How many dishes does his child need to wash or how many floors does he need to sweep, or how many chores does he need to complete before he can come before his father, sit on his knee and hug him and receive affection? Well, what if the son is in a rebellious streak you may ask? Should the father then say: "I won't allow him at the dinner table or have any interaction with him or even allow him to abide in this house until he apologizes!"? Is that the loving response? Remember it is the goodness of God that leads men to repentance. God isn't separating or distancing Himself from us when we miss it. Now we are seeing more clearly how faith teaching has drifted away from the Finished Work. We see that it trusts in human efforts and actions to produce the blessings of God and not the Finished Work of Christ. This produces spiritual pride. It also produces a competitive atmosphere, "Look at what my faith produced." Because the Word reveals principles to develop faith, people mistakenly believe faith originated within themselves. Paul clearly reveals that it is none of us and all of Him. There has been some controversy as to what Paul is saying is not of ourselves. Is it the Grace? What about the salvation? Is it faith? This passage is revealing that the Grace, the faith, and our salvation is not of ourselves it is all the gift of God. We have nowhere to boast. No one no matter how much they devote to meditation and confession can boast as to what their faith accomplished. It was His faith that He gave us at the point of salvation. It is Him leading and guiding us which causes our faith to grow. We have nowhere to boast. So what about the Cross? Is your faith in what you do? Is your faith in how flawless your behavior is while you are believing for a promise to manifest? Our faith needs to be in Him, the source of it all, the redemption, the Finished Work. What about faith in the Word? I have faith in God's Word but it's rooted in the understanding that without the Finished Work there would be no New Covenant Scripture. The authority of the Word is based on who God is and what He accomplished in the work of redemption. I have actually heard one of these faith/prosperity preachers sincerely tell folk that they need to move on from the Cross to the more important stuff. If the faith teaching you follow can still operate uninterrupted if the Finished Work was removed from the equation, know you have an Old Covenant faith concept. In this New Covenant, He has done it all, and we simply respond by believing He accomplished what He set out to do and acting accordingly. We need to get back to focusing on the Cross. Without the Cross, there would be no gift of righteousness. There would be no healing, no provisions, no forgiveness, no blessings, no favor, no God abiding within us. Put Jesus back in the center. He is the source of all blessings, not our works. Our actions are responses to what He already accomplished in the Finished Work. If our trust is in our actions then we are asking God to bless us on the basis of how well we perform. I look at what Jesus accomplished and trust in His obedience on my behalf and trust in His merits and not my own. Greater Grace, a greater focus on Jesus and the Finished Work. Great Grace: Religion or Relationship?